Thankful For Many Splendid Things - New Client, Cynsations Post and More! To me October is all about celebrating the many blessings we encounter partly because growing up in Canada, the Canadian Thanksgiving holiday always fell on the second Monday in October. So once October arrives, I naturally begin recounting the many splendid things I'm grateful for and this month I've much to be thankful for. 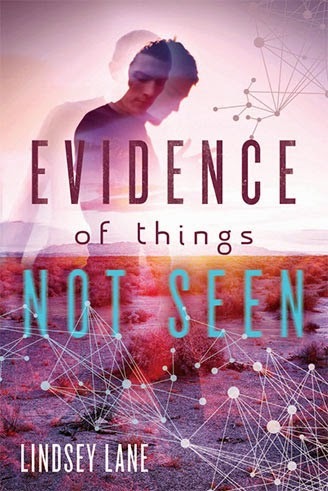 I'm happy to announce that the incredibly compassionate, kind, and talented children's and young adult author Lindsey Lane has joined the Booking Biz family. Lindsey and I have been secretly working together since June 2014, and I'm thrilled to welcome her into the fold. There are many things I admire about Lindsey; I could go on and on about her evocative writing that emotes emotion after emotion on the page. I could go on and on about her spirit and how being in her presence makes you a better person. And I could go on and on about her work ethic and passion for the craft of writing. She gives herself completely to her book projects and it shows. Speaking about incredibly passionate, kind, and talented children's and young adult authors, Cynthia Leitich Smith is hosting me on her well-read and informational kid-lit writing blog Cynsations today with my guest post on "Founding a Children's-YA Author & Illustrator Booking Agency," and I'm honored to be a contributor. Thank you, Cynthia. This coming Saturday, Oct 25th at 10am in the Family Life Center, I'll be moderating the Grandfather Gandhi panel with peacemaker Arun Gandhi and children's and young adult author Bethany Hegedus at the Texas Book Festival 2014. This year's line-up boasts 280+ authors, the largest in the festival's history. Author friend Greg Leitich Smith has put together a list of scheduled children's and young adult author panels on his blog. Click HERE to view. Thanks, Greg! 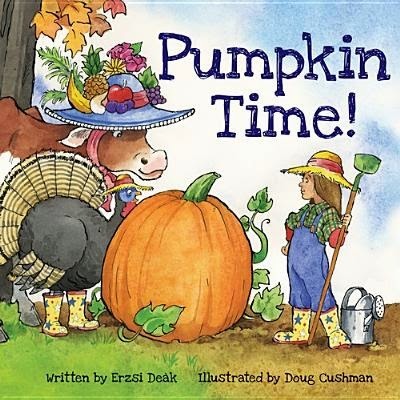 And I'd be remiss to say that I'm not in a state of bliss about the fact that my agent Erzsi Deak will be in town to read her book Pumpkin Time! illustrated by Doug Cushman at the Texas Book Festival and to reconnect with some of her Texas chicks from Hen & Ink Literary. If you live locally, please come out and celebrate Texas Book Festival 2014 and be a part of this magnificent literature event that brings authors and families together at the Austin Capital and adjacent grounds. It's two days (Oct. 25-26, 2014) of readings, panels, children's activities, food, live music, and hundreds of exhibitors. The Texas Book Festival supports Texas libraries and literacy! It's hard to believe we're into the middle of September already! I hope many of you have had a soft launch re-entering the school year and no major hassles or hang-ups. At our house, it's been an exciting few weeks. Middle school for the almost 12-year-old is cool with the addition of a locker and having a special space at school to call her own. The 5th-grader loves his new teacher and all the prestige and responsibility that comes with being the "leaders" at the school. I can remember when he was the smallest and youngest back in kindergarten and it's so nice to see him watching out for and making friends with the incoming kindergartners. Speaking of friends, over at ReaderKidZ, friendship is the theme of the month. They're welcoming parents, educators, librarians back for another year of great books geared to the K-5 crowd. Check out these two wonderful books mirroring friends who always have each other's back! Read the ReaderKidZ review HERE for This Orq. (he cave boy.) by award-winning author David Elliott, illustrated by Lori Nichols. Read the ReaderKidZ review HERE for Maggie and Milo by debut author Juli Brenning, illustrated by Priscilla Burris. Be certain to check out all the books being reviewed by the talented crew over at ReaderKidZ who volunteer their time to inspire and foster a love of reading in kids K-5. The summer is coming to an end but fall is just beginning. I love September. It's the start of a new school year and fresh beginnings. I've been busy writing, working on publicity campaigns for my clients, and booking author visits. But during that time, I also managed to sneak a day or two off to see some of Texas with the family. The visit to Hyatt Regency Lost Pines Resort and Spa was so memorable that I decided to write about it for Texas Lifestyle Magazine. Click HERE to read "Tuesday Travels: A Wilderness Escape in the Lost Pines Region." It's the perfect place to recapture those last moments of summer and anticipate the arrival of a new season. 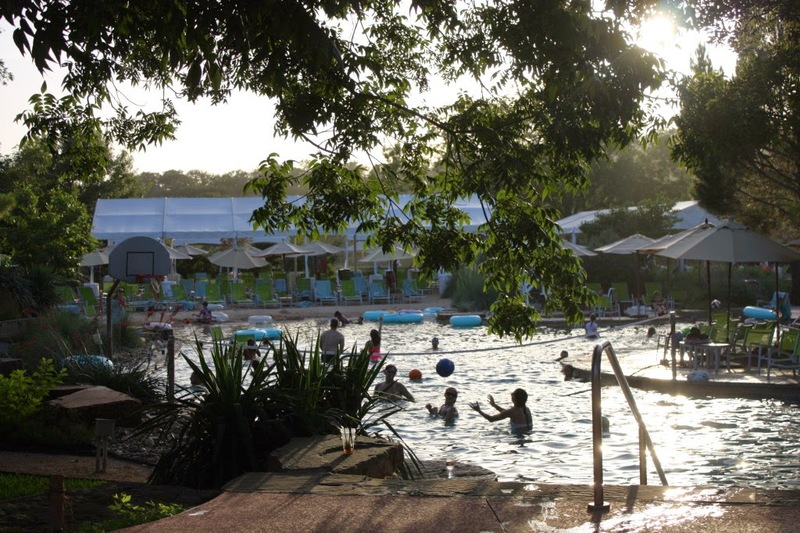 There's truly something here for everyone; choose an adventure or relax and rejuvenate! Over a week ago, my good friend Donna Bowman Bratton asked if I'd like to take part in a blog tour to talk about my writing process. 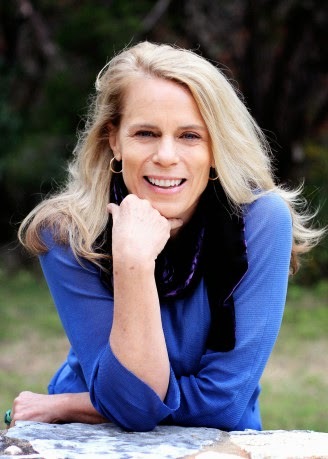 Donna writes nonfiction and historical fiction for young readers. Her first two nonfiction books for Capstone Press will be released later this year followed by Step Right Up: The Story of Beautiful Jim Key (Lee & Low, 2015) and En Garde! Abraham Lincoln's Dueling Words (Peachtree, TBD). Click HERE to read her post. I've been focusing a lot of my time on my clients and the Booking Biz, my new children's booking agency, so it's good to spend a few hours talking about what makes me write what I write. Well, quite a few things to be honest. I just finished reviewing edits with my editor for an article that'll appear in the debut magazine Seasons of South Austin. It should hit news stands mid-May. If you want to learn more about what's happening in Austin's hip zip 78704, check out the debut issue! I've also been busy marketing my clients' work and securing author visits for them. 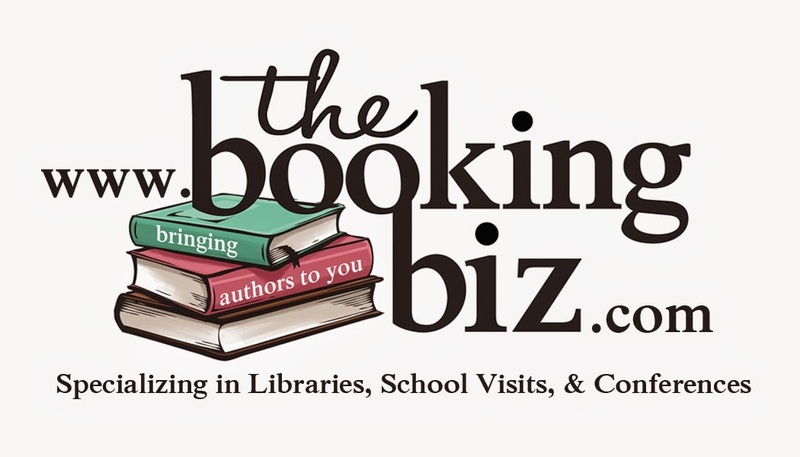 In March 2014, I launched the Booking Biz, an agency devoted to bringing award-winning children's authors and illustrators to you through school and library visits, conferences and festivals, and book stores and special events. Every day involves the business in some aspect, and I feel grateful to be able to work with such talented people. Not only my clients but the people like me who are passionate about creating lifelong readers and ensuring that children's literature thrives. It's also a joy to know that in some small way, I'm helping to bring authors/illustrators into the lives of children, in a more up close and personal way. While my agent Erzsi Deak of Hen & Ink Literary Studio is busy submitting my fiction and nonfiction picture books, I'm at work on a new picture book project. One that didn't come from an idea I had, but rather one my agent passed along to me after hearing editors talk about their wish lists. I love the challenge this project poses. It's a different process when you haven't come up with the idea yourself. First you have to find the story. A lot of brainstorming and crumpled pages end up in the trash. I'm also playing with a rhyming structure which I haven't done a lot with in the past, so I'm eager to see if I can find the passion and inspiration to create magic on the page. Hmmm. Great question. A little odd for me to answer because my books aren't published, yet. But hopefully what sets my work apart from others of its genres are my characters. Believable. Authentic. Relateable. Endearing. Can't-get-them-out-of-your-head characters. I think that's what most children's writers strive to do. To create a character so real that the child feels like he knows them personally. That he wants to know everything about them. That he wants to return to them, night after night. The other thing I think that makes my writing unique is me. My voice. My storytelling. My experiences. My imagination. My heart. My soul. My belief in myself. My belief in humanity. My belief in that every story matters. And every story needs to be told. I write on the topics of family, friendship, and making a difference. Themes that were in the books that my grandmother read to me as a child. My hope is that my storytelling and character development brings a uniqueness and freshness that children will respond to. I try to be honest. Real. Funny. And unpredictable. Today, in a world where poverty is rampant, hardship is common, and success has never been more important in society. I want children to be children. To be entertained by books. To be inspired by books. To forget themselves in books. To find themselves in books. I write what I write because family, friendship, and making a difference is what's important to me. They've shaped who I am and therefore it's my way of giving back to those people and relationships that have made a difference in my life. It changes every day. Every week. Every year. I think that's one of the things I love about the creative process so much is that I'm still learning. Still figuring out what works and what doesn't. Still fine tuning my process. When something becomes stale, it's time to change things. When something stops working, it's definitely time to change things. I can tell you this. I write best early in the morning. I like to write as fast as I can to get a first draft down on paper. I can't really begin to shape a story until I have an ending. 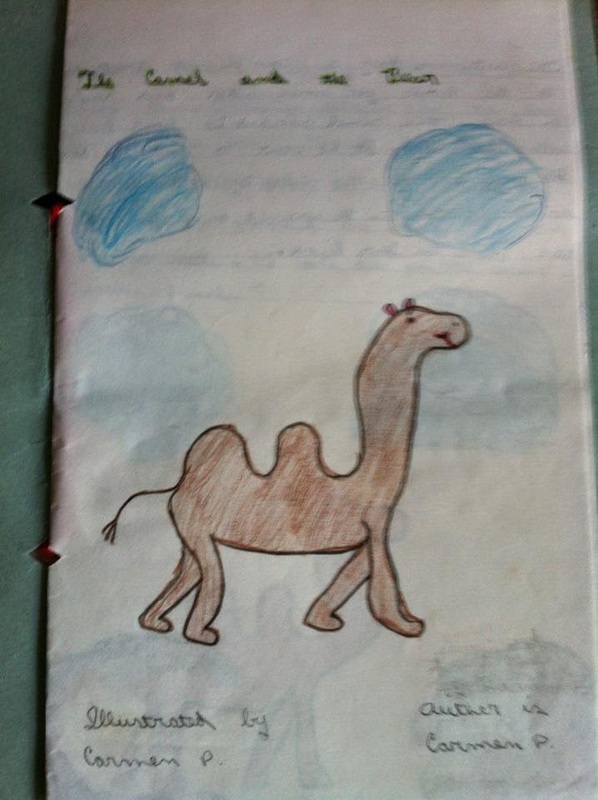 I like to use a dummy book (click here to read a post by Darci Pattison on how to make one) to write out my first draft. A process I adapted to help me figure out what happens next. As I turn the page I ask, "Now what?" It's also very useful to use when you've got a finished picture book but I also find it helpful at the beginning of the process too. I REVISE endlessly. I've been told by several of my critique partners that I'm a fast reviser. And a great reviser. This is the best part of the process for me. When I can peel back the layers and find the heart of the story. Sometimes during this process, I find I have to abandon a project. It's just not working. The story isn't there. When this happens, it's time to store the manuscript and begin on something new. I don't write every day now because of my other obligations but I do listen to my muse. I listen to it and myself and return to the page as often as I can get there. And I don't beat myself up because I can't write every day. I try to be kind to myself. I figure that's the best way to help draw the stories out! Mark your calendars for next week Monday, May 12th when award-winning author David Elliott and authors/illustrators Evan Turk and Andrea Zuill share their creative process on their blogs. 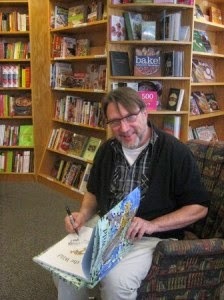 Children’s author David Elliott is the creator of the bestselling series On the Farm, In the Wild, and In the Sea with On the Wing poised to publish in 2014 and the final book in the series In the Past in 2016. His book And Heres to You illustrated by Randy Cecil was a New York Times bestseller and his chapter books like Jeremy Cabbage and The Transmogrification of Roscoe Wizzle are hilarious and full of heart. David's blog can be found here. 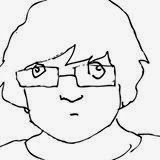 Evan Turk is an author, illustrator, and animator working in New York City. He is originally from Colorado, and loves being in nature, traveling, and learning about other cultures through drawing. 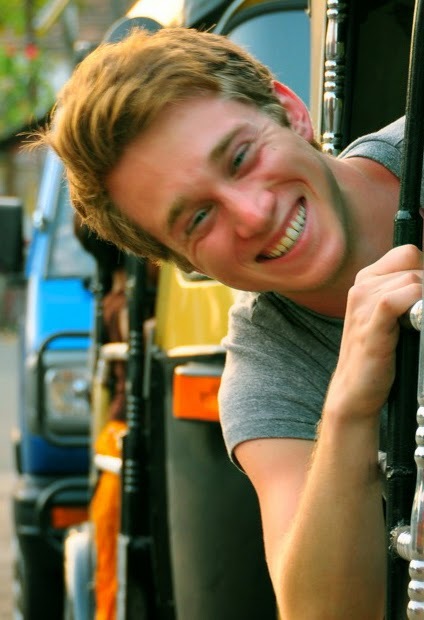 He is a graduate of Parsons and continues his studies as a member of Dalvero Academy. 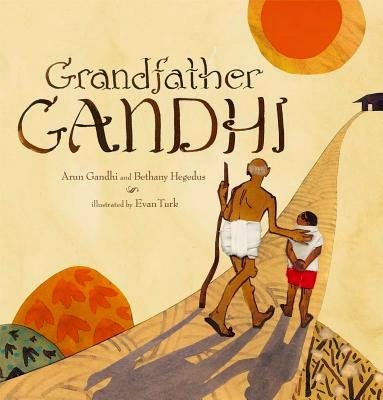 Grandfather Gandhi is his first picture book. Evan's blog can be found here. Andrea Zuill is an artist, author, and illustrator living in the San Diego area. Her art work recently appeared at an exhibit at Hamilton Art Galleries and her first picture book Urban Wolf will be published with Schwartz & Wade in 2016. Andrea's blog can be found here. 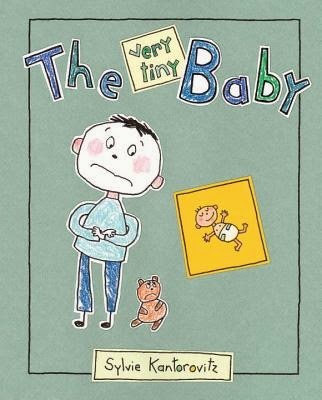 As a mother with children who were born premature, The Very Tiny Baby by Sylvie Kantorovitz (Charlesbridge, 2014) caught my attention. It's a topic I've often thought of exploring in a picture book and naturally I was curious to see how this author broached the subject. Brilliantly, in my opinion. Just the right amount of fact, honesty, and story woven together. Jacob and his teddy bear Bob, Jacob's alter ego, are waiting the arrival of a new sibling. His mother and father and grandmother are excited about the baby but Jacob has mixed emotions. He's not sure he's happy about it. "Bob says the baby will steal my toys." When the baby arrives too soon (premature), everybody is concerned about the baby surviving. Will it live? Jacob doesn't understand if the baby is in the hospital under constant care by a doctor and team of nurses why aren't his mother and father home taking care of him instead of Grandma. At one point, we hear Jacob's darkest thoughts "I think we should give the baby away. I wish the baby would die." Through Jacob's good and bad thoughts, we understand his worries "I want to be the only one again" and watch his transformation as he understands the obstacles the tiny baby faces, learns to forgive his parents, and ultimately embraces the role of big brother. I think this author's brave candid approach will allow for open discussions within families as they prepare for new siblings especially ones born premature. It reminds me of the honest conversations we had in our family with the birth of our premature children. The illustrations remind me of author/illustrator Lauren Child's Charlie & Lola series, full of expression and child-like. For ages 2 - 7. I write children's fiction and nonfiction. I'm represented by Erzsi Deàk of Hen & Ink Literary. 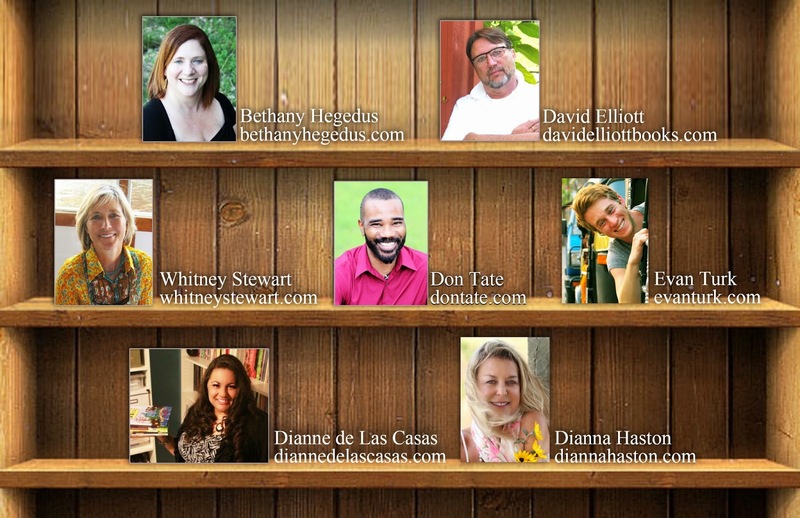 I own the Booking Biz, a boutique-style children's agency that brings award-winning authors and illustrators to schools, libraries, and special events. I'm also the former assistant regional advisor for the Austin SCBWI chapter. I love blue sky days, endless cups of coffee and cuddly, cozy PJ's. Downsizing: What to Do with the Trophies? Making poems, losing body parts, happy 2018? Passing the torch to Birthdayographies!